The RED Stamp engineering group specializes in providing efficiency solutions and production machinery design and build within the Material Handling Industry. The group started by moving the cigarette tax stamping machinery industry forward with its innovative patented designs. Since 1998, our engineer group has been a leading machine designer and producer for the marketplace and has expanded confidently into several other material handling industries. RED Stamp engineering staff has many years of experience designing equipment for the application of box cutting, box/tote packing, box opening and tax stamping. We test thermal and digital tax stamps, carton packaging, cigarette products, and machine configuration. Relative to supplied equipment, the RED Stamp Engineering Group is available to evaluate and detail existing plant floor space and then provide detailed layout recommendations. New floor layouts and/or ‘option’ layouts can be provided in PDF or AutoCAD format. RED Stamp has hundreds of machines currently in use by customers who each have unique elements to their business. These unique requirements may require special handling by our machinery. 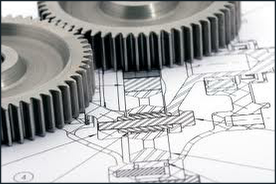 Our engineering staff are well experienced at evaluating requirements and implementing appropriate solutions. RED Stamp is a leading equipment designer and builder for the Cigarette Tax Stamping Industry and Material Handling Distribution Industry for automated box cutting. Products designed and delivered provide an effective solution for our customers as well as a solid return on investment through robust design and reliable build. RED Stamp is committed to providing the right solution for our customer’s needs. This often includes delivering multiple pieces of equipment some designed and built by RED Stamp, as well as others that integrate them into a whole solution. RED Stamp delivers these solutions based on our engineering staff’s many years of material handling experience as designers, project leads and project managers.